The Inter-Chem-Net project applies innovations in instrumentation and technology to the teaching laboratory. Encompassing a large reform effort in the University of Maineï¿½s general chemistry program, three specific applications of technology have defined the Inter-Chem-Net model of learning. The first innovation is the cost-effective use of advanced instrumentation in large, general chemistry laboratories. Instruments such as UV-visible and Fourier Transform Infrared Spectrometers play a pioneering role in chemistry, and they are an essential yet expensive component of any meaningful laboratory curriculum. Hence, these instruments are often avoided in the typical introductory laboratory course because they are expensive and difficult to use. The Inter-Chem-Net system simplifies their use through technological innovations. With this system, students use a simple interface to collect data on an instrument, and their data is automatically saved to a networked server. Students then use a web-based program to analyze their data from a separate computer, allowing hundreds of students to use a few instruments easily and efficiently. 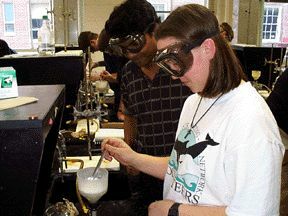 Students then perform experiments that emphasize fundamental chemical concepts by combining traditional and instrumental techniques. The second component of the Inter-Chem-Net model is a laboratory browser application called the Lab Navigator. It is a web-based database program that offers an individualized approach to laboratory instruction. Through the Lab Navigator, students can choose an experiment, access background and safety information, and obtain immediate feedback on their results. At the same time, the Lab Navigator records student responses to questions evaluating their opinions of the experiment. For example, a module called ï¿½ICN Snapshotsï¿½ records student responses to questions such as ï¿½Overall, how would you rate this lab?ï¿½. At the instructorï¿½s discretion, students may also view other studentsï¿½ responses to these questions. Similarly, instructors can monitor student responses as part of the ongoing evaluation of each experiment. The third innovation of the Inter-Chem-Net model is use of the Internet to distribute curriculum and chemical information unavailable in a traditional laboratory manual. The Internet provides electronic access to procedures, techniques, safety data, and sample problems, facilitating the laboratory process. For instance, the Material Safety Data Sheet (MSDS) for each chemical in the experiment is also linked to a list of chemicals in the lab handout. 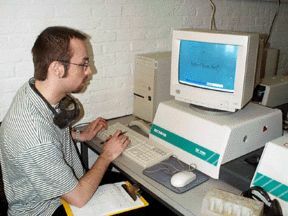 Similarly, students are able to view video clips of any lab techniques needed or access sample lab reports to help write their lab report. To choose an experiment, students use the Lab Navigator to view the entire curriculum but only choose those experiments available during a particular week. The experiments are organized according to the lecture text chapters and are made available in modules throughout the semester, offering students a choice of the sequence and selection of experiments. Each experiment contains a link called "Lecture Connections," highlighting the keywords of the experiment with reference to the specific location in the lecture textbook. The Lab Navigator assigns each student an individualized assignment for each experiment. For instance, one student might receive ï¿½Unknown Aï¿½ for a particular experiment while another assignment receives ï¿½Unknown B.ï¿½ The discovery experiments also vary in difficulty and content, providing detailed instructions for any hazardous procedures. Provides students with choices of experiments each week; different students perform different assignments. Provides access to UV-visible and FT-IR Spectroscopy through a ten-fold increase in instrument efficiency. Assigns individualized procedures; instrumental experiments have unique and protected data sets. Monitors student attitudes and understanding of each experiment. 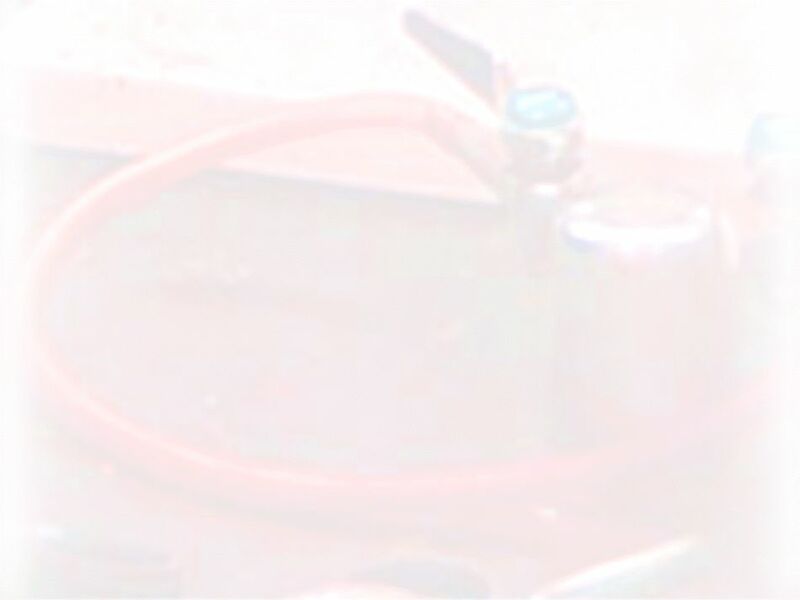 Provides a host of background and help information including references to lecture text, Material Safety Data Sheets, video clips of techniques, and pictures of equipment and glassware. Exposes students to modern practice as well as the mature principles of chemistry. For more information, please sign our guestbook.